7 minutter – 220 grader. dekk med lokk. 45 min – 200 grader. Skru varmen ned til 180 grader, i nye 45 min. Strø mynte over, og server med f.eks. couscous. 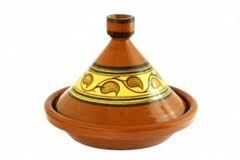 Tagine (Tajine) er en ildfast form fra Marokko – men om man ikke har det så bruk en annen ildfast gryte med lokk i stedet. NI FRUKTER I STEDET FOR MEDISINER! A vitamin which prevent from developing a series of cancer diseases, especially the skin cancer. 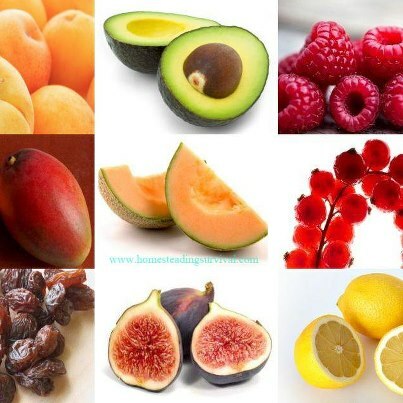 One fruit contain 17 calories 1 gram of carbohydrates and does not contain any fats. Apricots are an excellent source of beta-carotene and are useful in reducing infections or skin problems. They are a good source of iron and potassium. Fresh juice of apricot leaves is useful in skin diseases. It can be applied with beneficial results in scabies, eczema, sun burn and itching of the skin due to cold exposure. Apricots have an alkaline reaction in the system. They aid the digestion, if consumed before a meal. The fruit is highly valued as a gentle laxative and is beneficial in the treatment of constipation. The fresh juice of apricots, when mixed with glucose or honey forms a very cooling and soothing drink during fevers. Its many benefits include quenching the thirst, and eliminating waste products from the body. In addition, it tones up the eyes, stomach, liver, heart and nerves by supplying minerals and vitamins. Advice: Try to buy apricots while there are still hard (green). When the apricots become soft, they begin to loose their nourishing properties. 2. Avocados. The oleic acid and the unsaturated fats containing in this fruit decrease the level of cholesterol and increase the quantity of high density lipoproteins. Beside that avocado contain a large quantity of cellulose, iron and vitamin C. One piece contains 81 calories, 8 grams of fats and 3 grams of carbohydrates. In order to fasten the ripping process put avocados in a closed plastic bag with an apple or a banana. Advice: Try to replace the mayonnaise in your sandwiches with pieces of avocado. 3. Raspberries. Raspberries contain the ellagic acid which helps decrease the growth of cancer cells. These berries also contains the C vitamin, decrease the level of cholesterol and the probability of cardiovascular diseases. Rich in vitamin C, folate, iron and potassium, raspberries also provide high amounts of insoluble fiber (thanks to all those little seeds) as well as respectable amounts of the soluble fiber pectin, which helps control cholesterol levels. Raspberries contain a large amount of cellulose. Since cooking does not destroy these compounds, raspberry jam may also be beneficial. Raspberry is one of the few fruits whose consumption would not have much effect on the body’s blood sugar levels. A glass of Raspberries contains 60 calories, 1 gram of fats and 8 grams of carbohydrates. Advice: A natural face mask made raspberries helps protect against the suns rays. Vitamin C’s antioxidant powers help fade age spots and discoloration. It also rounds out the skin to fill in minor wrinkles. 4. Mango. A middle-sized mango fruit contains 57 milligrams of C vitamin which constitutes the daily norm for a human’ nourishment. This antioxidant helps to prevent the arthritis, is used in wounds recovery and enforces the immunity system. Pregnant women and people with anaemia are advised to eat this fruit regularly. It is also valuable to combat acidity and poor digestion. Mango also contains the A vitamin. One fruit of mango has 135 calories, 1 gram of fats and 4 grams of carbohydrates. Advice: Some varieties do not turn red, orange or yellow. If buying these green varieties, look for other signs they are ripe such as a nice sweet fragrance. They should yield nicely to a light press with the fingertip. If they are brought unripe, they can be put in a paper bag in a warm place and they will ripen in a day or two. 5. Cantaloupe. Contain vitamin C (117 milligrams of C vitamin is contained in a half of cantaloupe – a double daily norm) and beta-carotene which stops the radicals from damaging the inner structures of the organism. It also contains 853 milligrams of potassium, which is twice more than in a banana. Potassium decreases the blood pressure. Cantaloupe has antioxidants that help us fight with heart diseases, high blood pressure, diabetes, cancer, aging, etc. Cantaloupe is also a very good source of potassium, vitamin B6, dietary fiber and niacin (vitamin B3). A half of cantaloupe contains 97 calories 1 gram of fats, 2 grams of carbohydrates. Cantaloupe is beneficial for arthritis, obesity, fever, rheumatism, skin diseases, high blood pressure, abdominal and stomach gas and many other diseases. Advice: When choosing cantaloupe, choose a fully ripened melon, because according to research as fruits fully ripen, almost to the point of spoilage their antioxidant levels actually increase. 6. Cranberries. Helps to combat the infections in the urinary bladder, stop the in growing number of bacteria. Cranberry juice can inhibit the aggregation of bacteria that cause dental plaque and based on evaluation of several vitro screening tests, it has been suggested that the proanthocyanidin compounds found in cranberry may exhibit some anti-carcinogenic activity. Some medical professionals and specialists believe that quinic acid abundant in cranberry may help to prevent the development of kidney stones. Recent scientific research shows that cranberries and cranberry products contain significant amounts of antioxidants and other phytonutrients that may help protect against heart disease, cancer and other diseases. In some people, regular cranberry juice consumption for months can kill the H. pylori bacteria, which can cause stomach cancer and ulcers. Drinking cranberry juice daily may increase levels of HDL, or good cholesterol and reduce levels of LDL, or bad cholesterol. A cup of cranberry juice contains 144 calories. There are no fats or carbohydrates. Advice: Buy a 100% cranberry juice and add water without sugar. 7. Raisins: These little pearls- are the main resource of iron which helps to transmit the oxygen to tissues. The phytonutrients and olenolic acid present in raisins makes them beneficial for the health of teeth and gums. Having antioxidant properties, raisins help keep the blood clean and flowing, by getting rid of al the impurities. Raisins are believed to be good for bone density and have been associated with lower risk of osteoporosis in women. Studies claim that raisins contain additional nutritive compounds that can protect against heart disease and colon cancer. A half cup of Raisins contains 218 calories, 3 grams of carbohydrates. It does not contain fats. Advice: Raisins are a good source of fiber and can help cure constipation. For the purpose, boil raisins in a saucepan of water, strain the liquid and drink it. Every morning try to add little raisins in your cereals. 8. Fig. The fig is a source of potassium and carbohydrates, it also contains the vitamin B6, which is responsible for the serotonyne – “hormone of pleasure”; it decreases the amount of cholesterol. One fig contains 37-48 calories, 2 grams of carbohydrates, 0 fats. Figs are high in natural and simple sugars, minerals and fiber. They contain good levels of potassium, calcium, magnesium, iron, copper and manganese. Dried figs contain an impressive 250mg of calcium per 100g, compared to whole milk with only 118mg. Dried figs consist from about 60% of sugar, contain a lot of vitamins and it is said that humans could live on figs only. Advice: Eat dries figs as a healthy energy snack. For extra flavor and nutrients, stuff them with nuts and a little honey. 9. Lemon. Lemon contains limonene and C vitamin which help to prevent cancer. It has a limited number of calories and does not contain carbohydrates or fats. You must know that citrus fruits in general may have a great benefit over our body; citruses are useful for your skin, bones and heart; it’s a well-known fact that citruses are great eyesight defenders and mood enhancers. Advice: Add lemon juice in your food: salad, beans or vegetables. Nutritional-habits.